Sentara Healthcare's overall operating income was largely flat between 2016 and 2017, even though the health system recorded losses on two relatively new hospitals. The Norfolk, Va.-based not-for-profit system reported $244 million in operating income last year on revenue of $5.3 billion, up slightly from 2016's $234 million on revenue of about $5 billion. The system's profit spiked nearly 72% year-over-year, hitting $616 million in 2017 compared with $359 million in 2016, according to the health system's 2017 annual report. Sentara saw operating losses on three of its 12 hospitals, including two relatively new facilities. Sentara Halifax Regional Health System, which Sentara picked up in a 2013 merger valued at $155 million, reported an operating loss of $12.6 million last year. Sentara Albemarle Medical Center, which the health system began operating in 2014, reported a $12 million operating loss last year. 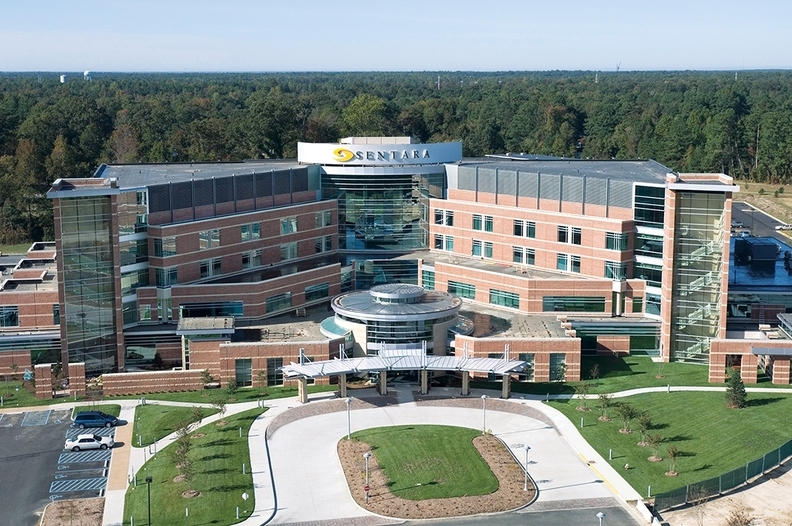 Sentara Norfolk General Hospital, by contrast, reported operating income of $86 million last year. Sentara's charity spending declined nearly 12% to $163.6 million in 2017, down from $185 million in 2016. At the same time, the system incurred $49 million in unreimbursed Medicaid costs compared with $33.6 billion in 2016. Sentara saw a nearly 24% increase in bad debt. That number increased to $112.8 million last year, up from $91.4 million in 2016. Fines are "probable" for Sentara after officials identified potential compliance violations on recent acquisitions. Health system executives disclosed their findings to the relevant regulatory authorities, and wrote that the outcome is not likely to have a material effect on Sentara's financial position. A Sentara spokesman could not immediately provide detail on the violations.